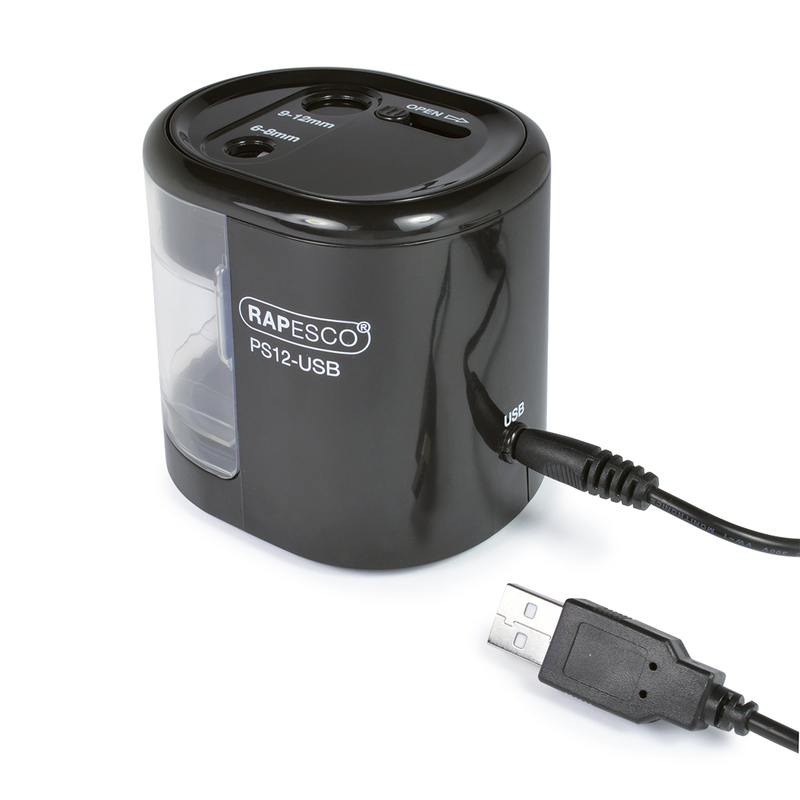 This Rapesco electric pencil sharpener can be powered via USB or 4 x AA batteries (not included). 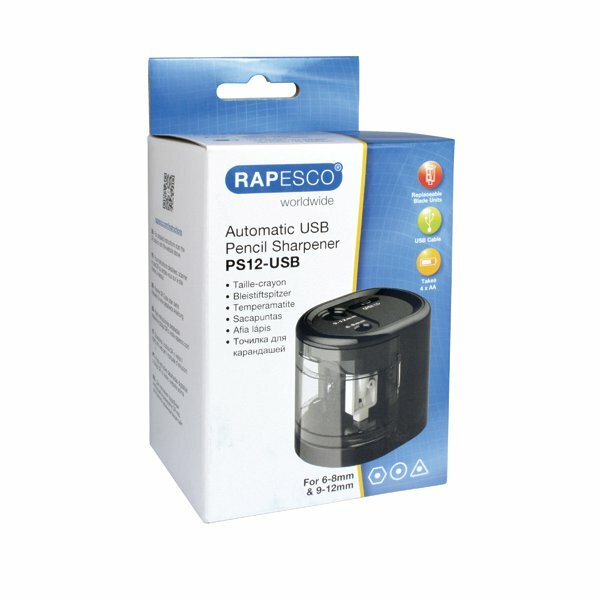 Providing quick and precise sharpening, the sharpener features a double hole design for 6-8mm and 9-12mm diameter pencils. 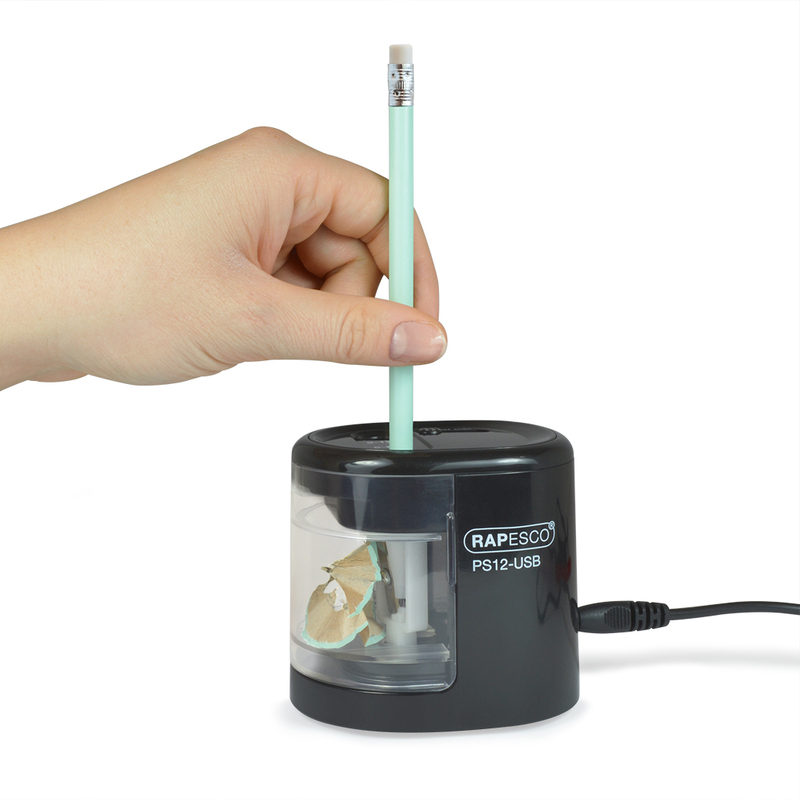 Ideal for graphite, charcoal, pastel and coloured pencils, the sharpener is easy to clean, with a removable shavings tray. 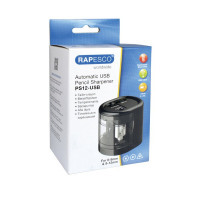 This black sharpener comes with replaceable sharpening units (2 large and 2 standard) and a USB cable included.